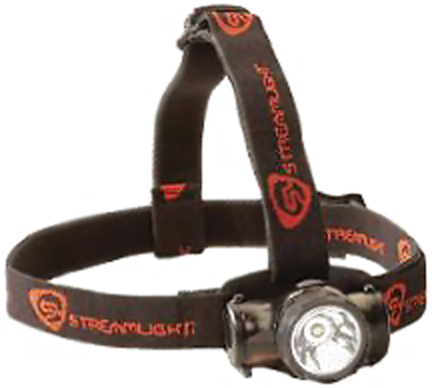 LED headlamp with elastic strap. One 0.5 watt ultra-bright white LED. 100,000 hours LED life. Two-stage switch with low and high beam modes. Compact, lightweight, thermoplastic construction. Uses 2 “AAA” alkaline batteries (included). Up to 6 hours runtime on high mode and up to 24 hours on low mode. O-ring sealed. Waterproof to 1 meter for 1 hour. Includes rubber/elastic combo head strap. Black. If you need immediate assistance, please call 1.888.978.7759.